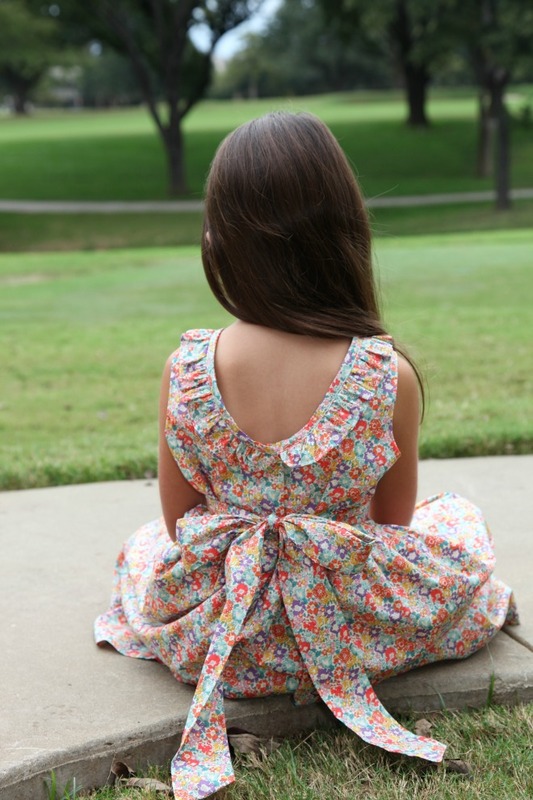 Classic Children's Clothing From Kate and Libby: Now Online! 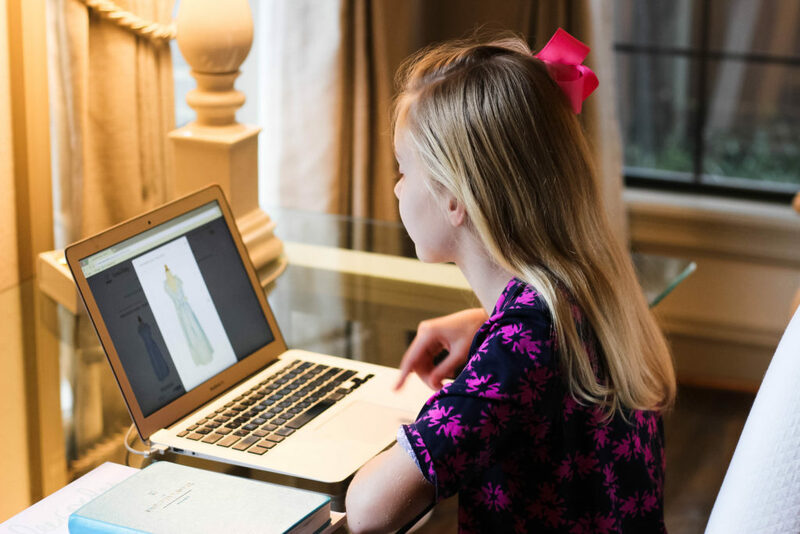 Spring trunk show season has begun so today I am thrilled to partner today with Kate and Libby to share beautiful classic children’s clothing available to order at a trunk show hosted in your city or online. 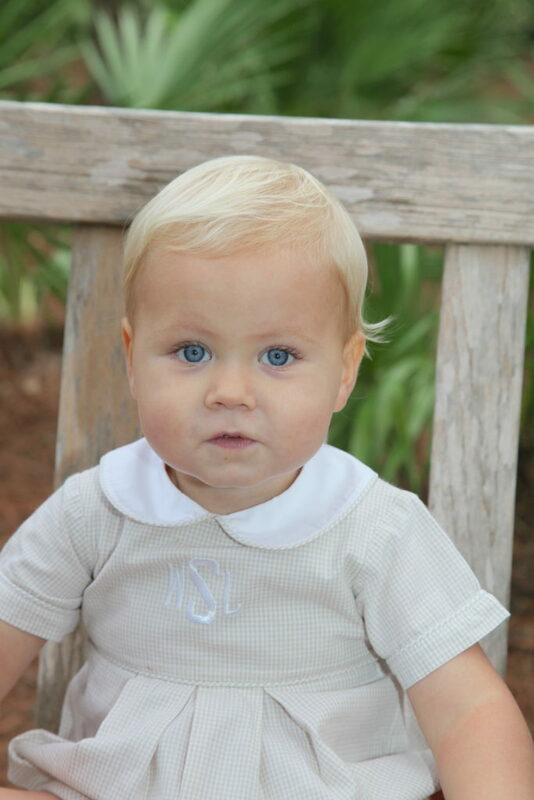 Yes, that’s right, you can now customize and order your children’s clothing from this darling company without ever leaving your home! If you live in the north or west coast you may not realize how popular trunk shows are in the south. 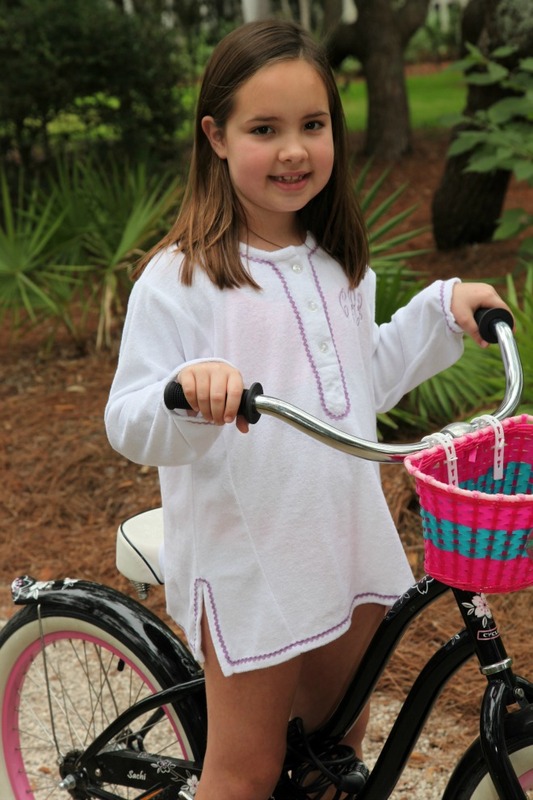 They are a reliable source of classic children’s clothing, which can often be difficult to find in stores. Most of it is so well made that it lasts through multiple siblings 0r cousins. 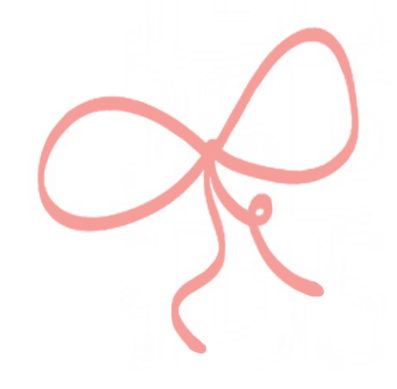 Kate and Libby is one of those great companies – with darling selections for babies through age 12. Kate and Libby’s Spring 2017 line is completely customizable. Meaning you select the style, fabric, even details like the trim color. It’s actually so much fun to play designer for your children and pick out matching or coordinating clothes. And this year I’m letting my nine year old help me. She will be much more likely to wear something other than shorts and tee shirts if she had a hand in designing it, right?! On that note, she really likes the Tuck Dress and the cute Hippie Dress. Both are so cute for older girls! For my four year old, I’m loving the Liberty of London print in these bubble shorts. She’ll wear these often with a top like this ruffle neck tank or a white collared tee. Kate and Libby’s swimsuits are always so cute, too. 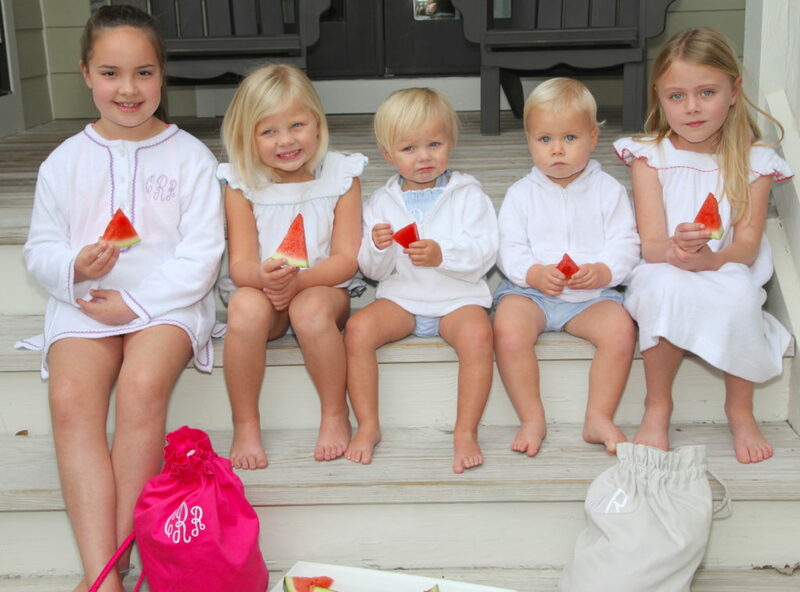 And how sweet is this monogrammed terry coverup? One would make a fun gift for spring birthdays! Kate and Libby trunks shows start this week. You can click here to find a trunk show in your city. Email service@kateandlibby.com for specific location. And if you’d like to be hostess, you can still sign up! Just fill out this form. Remember, you can also order the entire Kate and Libby collection online. Sometimes I get a tad overwhelmed at trunk shows (and a wave of indecisiveness often rolls over me!). So this new online option is perfect if you are like me – either for planning ahead before a trunk show or if you can’t make one altogether. Please note: custom orders take 10 weeks. Let me know what you love from this cute line in the comment section below! And thanks so much to Kate and Libby for sponsoring this post. I get such great ideas from your blog. In fact, today I have on the lush top from Nordstrom with my animal print Ivanka trump shoes. 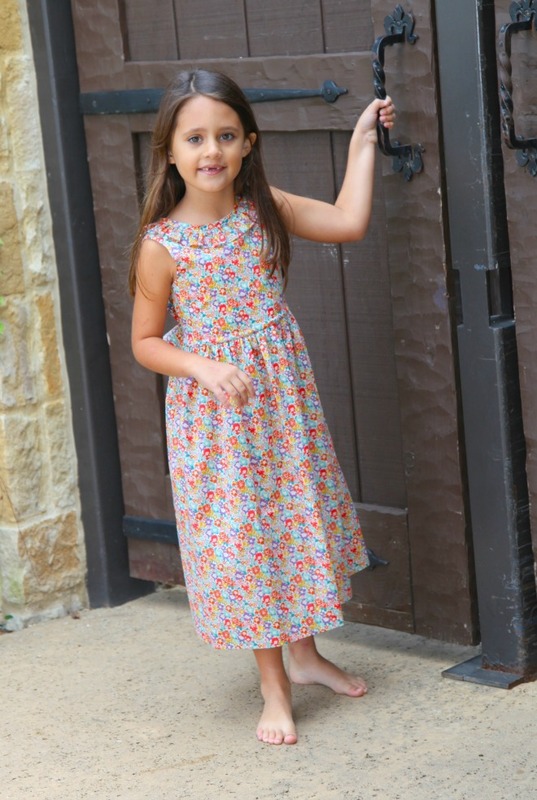 I have a 9 year old girl as well and wanted to see what fabrics you are thinking about getting your 9 year old in the Libby and Kate Hippy dress and tuck dress that look older. Thank you! I love those shoes, too! Okay, I can’t resist the Liberty print in the Tuck dress – the purple one. And she likes it, too. I haven’t decided about the Hippie dress, but am thinking something simple like the blue or pink pique would look cute? What are you thinking? That is what I was thinking. It is so hard to find older girl clothes! Do their clothes run true to size? We are always between 8s and 10s? Oh and I am laughing bc I just realized I have on the Julie Vos gold bracelet, too! Ha! I wear mine all the time. Love Julie Vos! My daughter is so tall that I usually go for the bigger size. She is 9 and wears a 10.